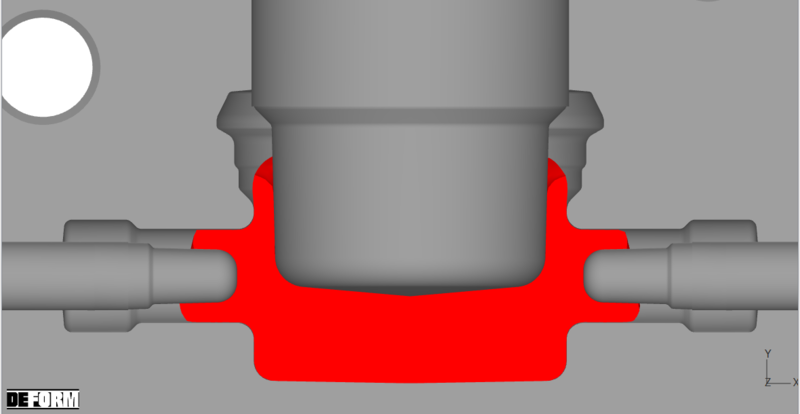 Neotecman does not only sell machines for hot forging processes but also a disruptive concept of forging with perfectly closed cavities which lead to finished forged parts without flash. This technology is based on the movement of hot metallic alloys into the cavity in which the behaviour of the flow is crucial for achieving good quality forged parts. In order to assess preliminary designs, detect existent flaws and enhance the design of tooling, Neotecman uses the commercial software DEFORM 3D (Scientific Forming Technologies Company) based on the Finite Element Method. This software is well suited for the analysis of large deformations which occur inside the cavity of the dies and to detect the most common problems associated to the hot forging process such as folding and material breakage. Neotecman uses DEFORM 3D to base all internal dies manufacturing in simulations of CAD designs to assess the final quality of the parts. 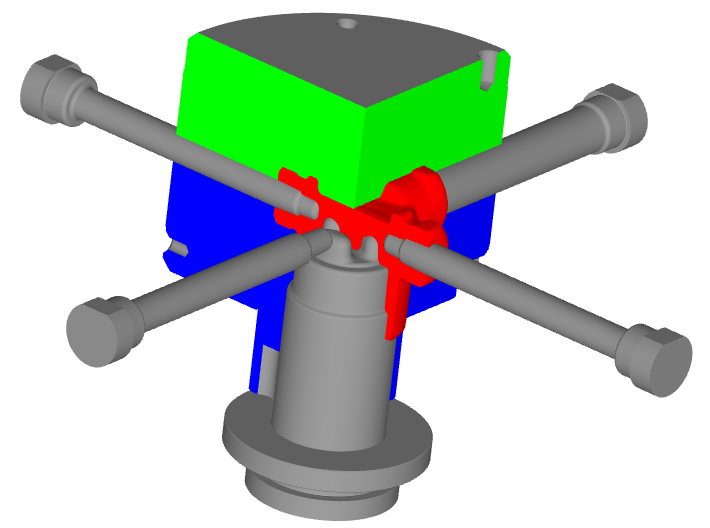 Furthermore, FEM simulations are an extremely powerful tool for correcting internal invisible defects and for improving our customers’ designs by detecting existing flaws and suggesting improvements either related to the geometry or to the forging sequence among others. 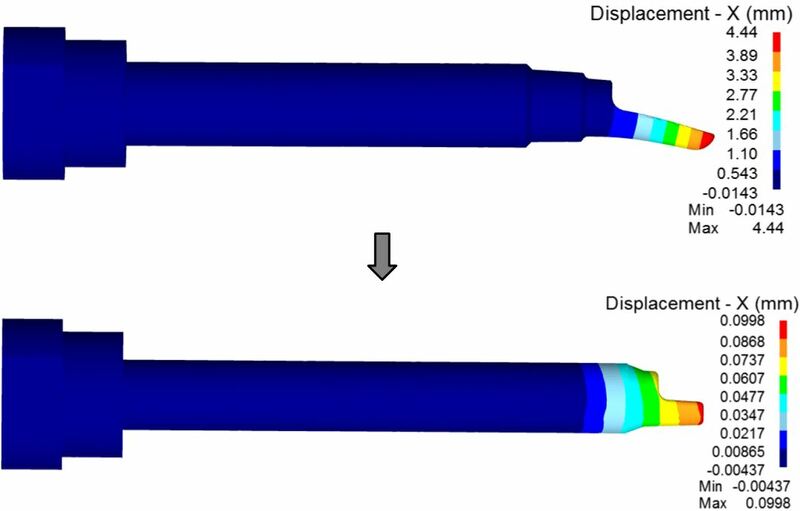 One of the additional strengths of CAE tools in Neotecman is the capability of improving the design of the tooling for the sake of their structural integrity and durability. We are ready to study and make a validation for any piece suitable to be forged by our machines. Our customers buys our compromise and a reality based on performance results.